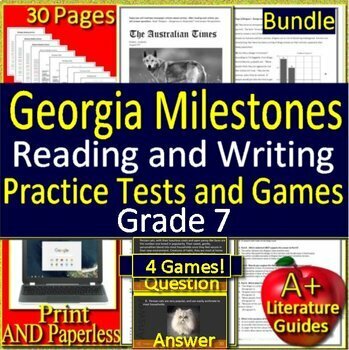 7th Grade Georgia Milestones Reading and Writing BUNDLE! Tests + Game Shows! Grade 7 Georgia Milestones - This is a 7th Grade GMAS Reading and Writing Bundle including 3 reading passages with 30 reading questions and answers, 2 writing passages, with an informational writing prompt and task, and an argumentative writing prompt and task, plus 4 reading ELA games with a total of 100 game questions and answers. Buyer's Note - The practice tests are print and go AND Google paperless, but the games can only be played in PowerPoint. They are fully editable. 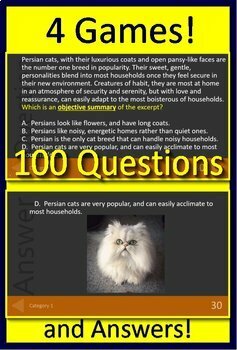 Why am I qualified to write these passages, writing prompts, and Common-Core aligned questions? Not only have I worked as a Language Arts Teacher for 30 years with a Highly Qualified Status, but I also have spent 15 years writing state and national assessments, such as the SATs, ACTs, and individual state assessments that align with the Common-Core standards. 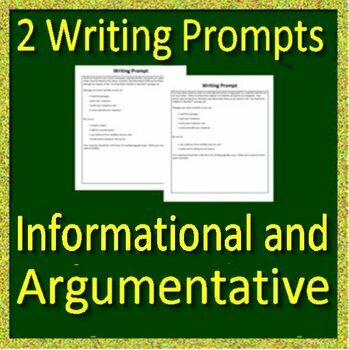 This includes grading, item writing, and passage writing for these assessments.